I recently watched the new movie IT, a film that is currently breaking box office records as the highest grossing horror film of all time. While there was a lot of hype surrounding the movie, many are thinking of not seeing it due to a fear of not living up to this said hype. However, that’s dumb. You’re giving Pennywise, the main antagonist, exactly what he wants. 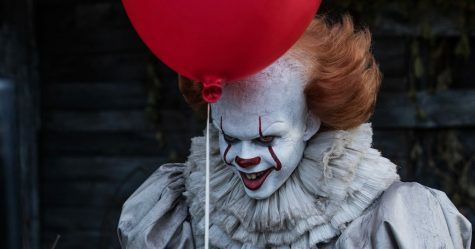 He is a clown that feasts on the fear of people, and he knows nothing scares people more than a disappointing movie that was hyped up to no end. I’m here to lay these fears to rest and to show whether this movie is worth your time or not. The first thing to note is the acting. All players do a phenomenal job; not just the kids and Pennywise. 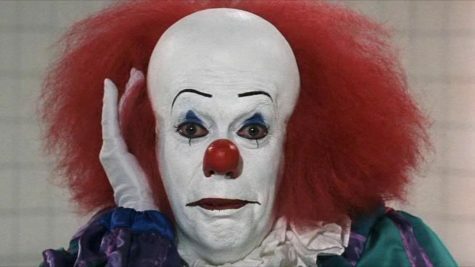 Pennywise is portrayed by Bill Skarsgård, a Swedish actor who plays that part well with his no-top-lipped smile and uncomfortably large forehead. Previously, the lead was played by Tim Curry. Spoiler alert: from this point on, this article contains spoilers; if you don’t want to read further, definitely go see the movie. While this film is praise-worthy for making more sense than the last, there are moments in this adaptation that were silly, cliché, or downright weird and nonsensical. In the new movie, the horror aspect is diluted because although Beverley and her bathroom are covered in blood in the famous scene, the Losers Club cleans the blood while jamming out in the following scene. Eddy’s first encounter with Pennywise was rather silly and would definitely not cause anyone to wet their pants. Eddy is a germaphobe who’s been heavily sheltered by his mother his whole life; she had him diagnosed with fake illnesses so that she controlled what he did. The scene when Eddy first meets Pennywise was dumb. While traveling past a decrepit house, Eddy hears his name being whispered from said house. He trips and spills his pill container onto the road. 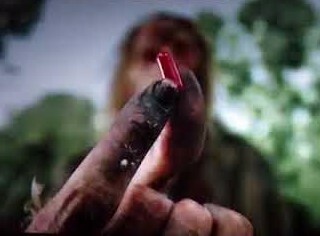 As he’s picking up his pills, an eerie hand slowly grabs one. This is a glorious setup, as they keep the hand in the foreground, blurring the face for a dramatic and spooktacular reveal. However, after he asks in a gargley, gritty voice, “Do you think this will help me, Eddy?” we’re given the anticipated reveal to a not so scary payoff. While he’s supposed to be a leper, it honestly looks more like a Halloween mask, rather than going all the way for something much scarier. This scene is a really good representation of the original IT, a big buildup to a disappointing payoff. There is one big thing that the new version has that the old one could never dream of: people actually floating. Pennywise always talks about how “They float, they all float” and “We all float down here.” but in the old version we never see anybody floating. The digital effects are even done pretty well for these floating kids. Even the bullies have more depth this time. The typical Stephen King bully stereotype of being just a one dimensional jerk for the sake of being a jerk is changed to actually include a backstory. The main bully, Henry Bowers, is shown to be abused and humiliated by his father in front of his friends. His bullying is even shown to be more psychotic than normal; even his friends question if he’s going too far multiple times in the film. It’s definitely obvious that he goes too far when he murders his father, then attempts to do the same to the Losers Club. Finally, and most importantly, this movie definitely left an impact on me when I left the theater. Honestly, I was pretty awe-struck by the end of it. While the movie was a little all over the place, a lot of it worked out very well. From the pacing to the music to a good half of the digital effects, IT truly is one of the greatest movies I have ever seen. In short, this movie is fantastic. If you’re looking for a shot-for-shot remake of a horror classic, watch the 1998 version of Psycho; however, if you’re looking for a more in-depth and scarier version of a horror classic, while focusing on the better half of said classic, I highly recommend you watch IT. I’m not going to say you’ll wet your pants in terror or have nightmares for weeks to come (unless you’re very afraid of clowns). However, as many horror movies go, it does pretty dang well for what it has to work with. I give this movie a 9.5/10, and I look forward to IT: Chapter 2, coming to theaters September of 2019.